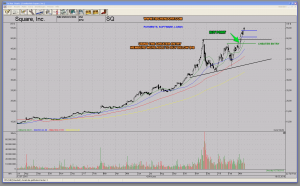 Tonight we will have a closer look at another Leading Stock that has just closed at a new all-time high. 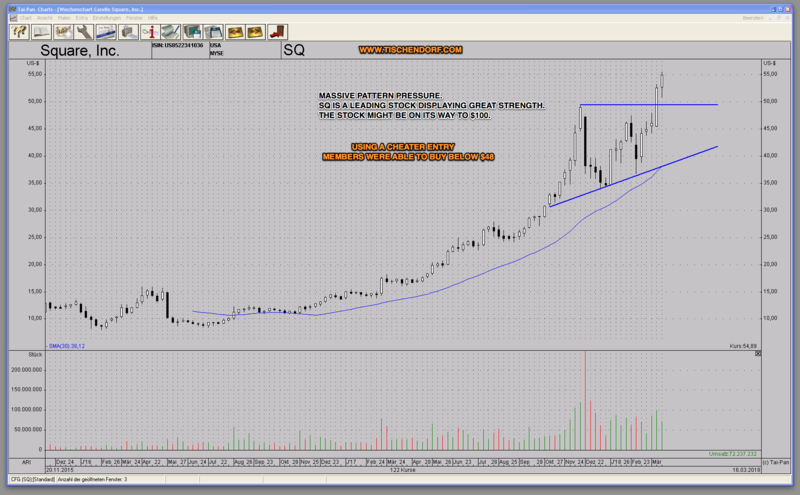 SQ – Square was covered early on and has been part of the focused watch list for several weeks. 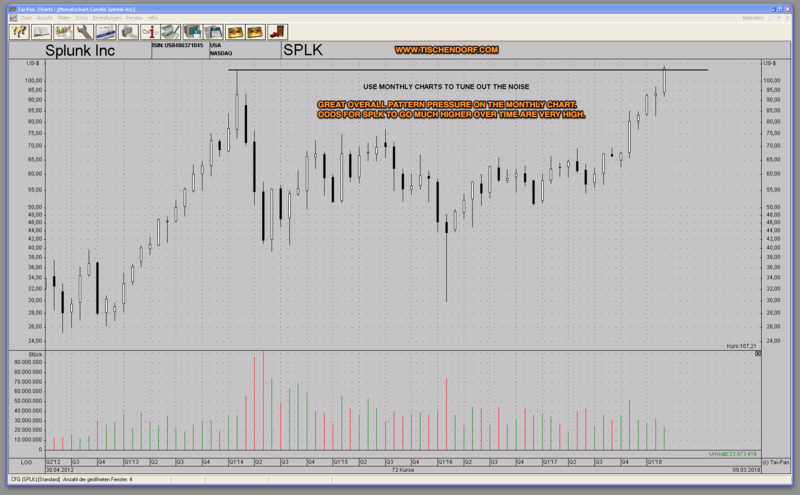 The ‘cheater entry’ provided a great buy entry and the way it works was explained in detail in the weekly video right before Square was setting up for a long entry. Why is this called a ‘Cheater Entry’? Because it provides a clear buy signal, taking out a former pivot high, and at the same time provides an early entry before a much more obvious buy signal triggers. 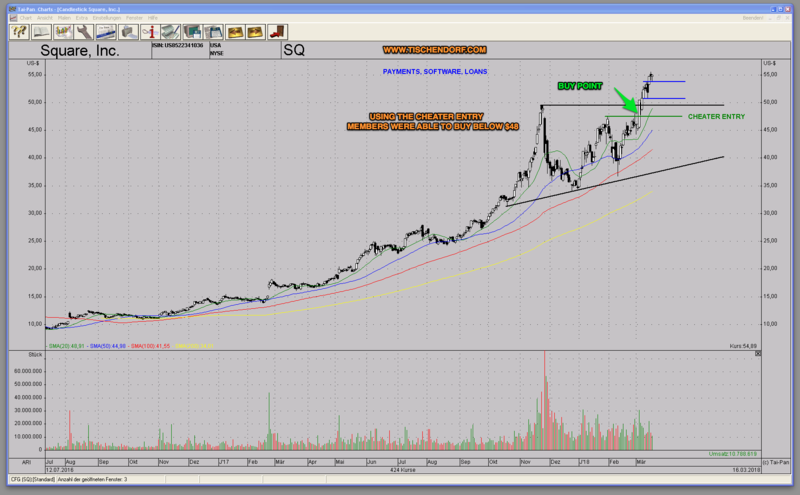 In this specific case, the cheater entry with SQ provided an entry right before most technical traders follow the new all-time high buy signal. For members, I go through all the benefits of cheater entries. You want to get exposure to New Leaders early on? Consider joining as a member! Square is well known for its payment processing solutions. Actually, SQ – Square was recently compared to AMZN – Amazon in its early stages. A comparison that you do not see very often, but in Square’s case it actually makes sense. Square offers a complete suite of products that serves small businesses and entrepreneurs. What is somewhat misunderstood and most likely vastly underestimated, is the kind of insight about their customers they have access to. That allows Square to offer unique additional products like loans traditional banks would shy away from. SQ could very well develop into a powerhouse serving the needs of the ‘underbanked’. It is already developing into a fierce competitor of Venmo, a PYPL – Paypal company. But SQ has a clear advantage. It already knows the businesses they are providing small loans with very well. They can thus provide very low risk loans. A potential new leader in the making! 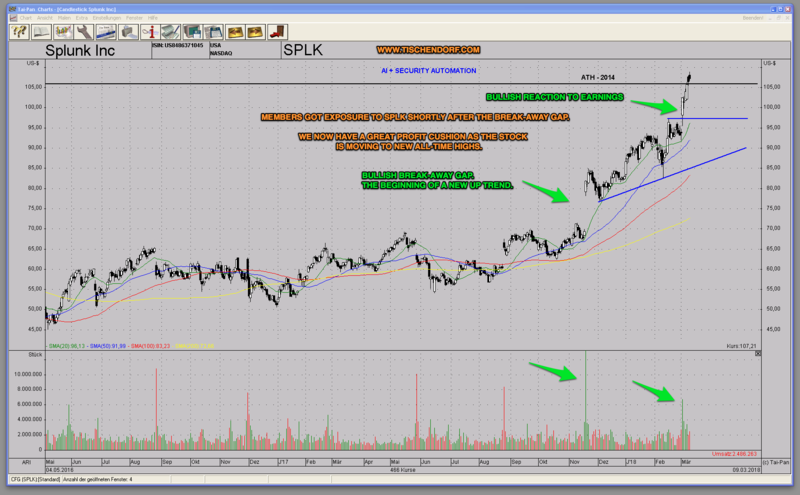 The daily chart shows the ‘Cheater Entry’. The weekly chart shows the impressive overall pattern pressure. SQ is a new leader displaying massive strength. Keep in mind leading stocks often do surprise to the upside. Right now, a $100 price target looks rather ambitious, but if SQ can move towards 60-70 it will all of a sudden look a lot more realistic. In the meantime, we simply let our winners like SQ run. The service is also well suited for new and intermediate traders. 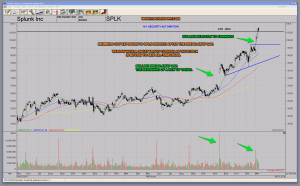 I explain in detail what I see, what you should pay attention to and why a stock is ready for a big move. Members tell me they love the educational value! We got early exposure to a new super winner! 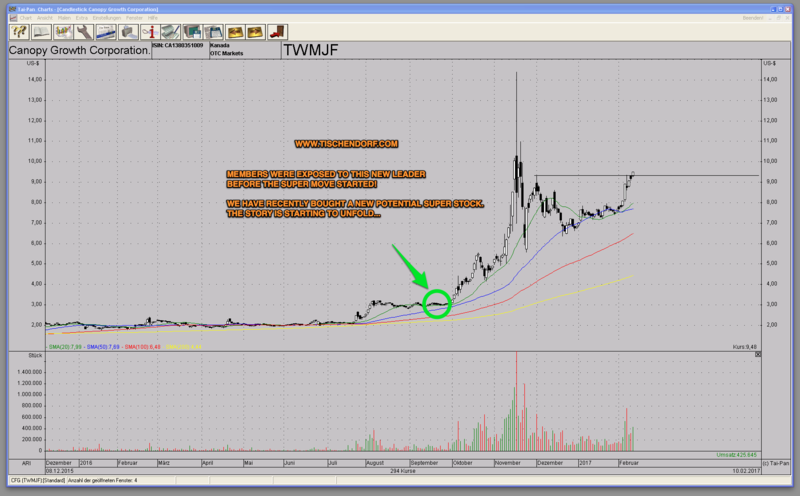 Just a quick post to highlight a picture perfect example how Members of the Premium Service got exposure to this New Leader early on. As you can see in the chart below, excellent timing is crucial. Due to our well timed entry we were able to accumulate a significant profit going into earnings. That cushion allowed us to manage risk appropriately and hold through earnings. 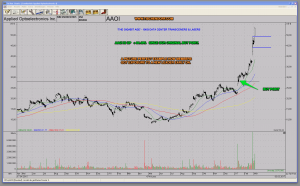 After earnings were announced, AAOI – Applied Optoelectronics started its super run. AAOI provides data centers with fiber optic networking products. This industry is one of the fastest growing sectors you can currently invest in. 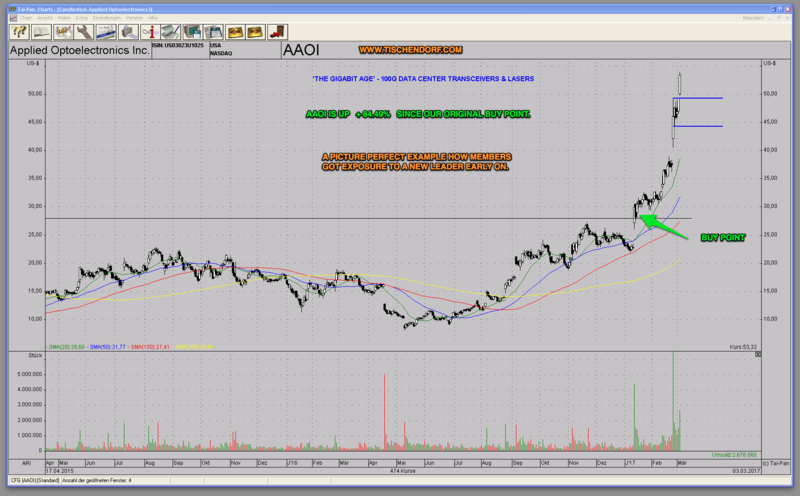 AAOI is up +84.49% since our original buy point! The Tischendorf Letter Premium Issue 64 was just published a few hours ago. Since March 2016 every weekly issue comes with an easy to understand Video Analysis. Most videos are roughly 20 – 30 minutes. 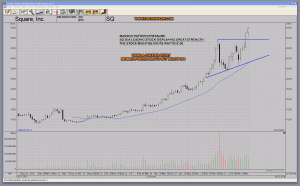 I share my screen, show you how I annotate charts and present the best chart set-ups, emerging themes and new High Potential Stocks that are ready to move higher! Today we reached an important milestone! There are now 50 Videos available! The good news is, members joining the Tischendorf Letter Premium have access to all the content I have ever produced! A lot of my members subscribe to all the major newsletters. They tell me the educational value of my newsletter is the very best they have experienced. 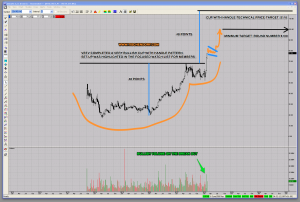 If you are new to trading and want solid technical analysis education, why not give it a try? For several months I have urged members to ‘seek and maintain maximum exposure’. We have benefited tremendously from the run higher in November and December. We did not listen to predictions calling for a market crash or personal opinions. Sticking to price alone and almost 20 years of technical trading experience made all the difference. Have you missed out on the rally that has been going on for more than a year now? You can change that! 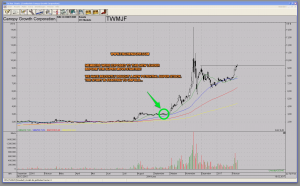 A great example of a super winner members got exposure to is the Cannabis leader Canopy Growth – WEED.TO, TWMJF former CGC.TO. This stock was a monster winner for us. 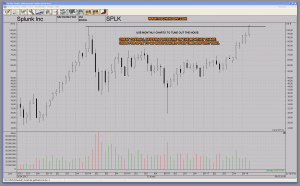 This one trade made sure we massively outperformed the S&P 500. The good part is, you did not even have to act quickly. 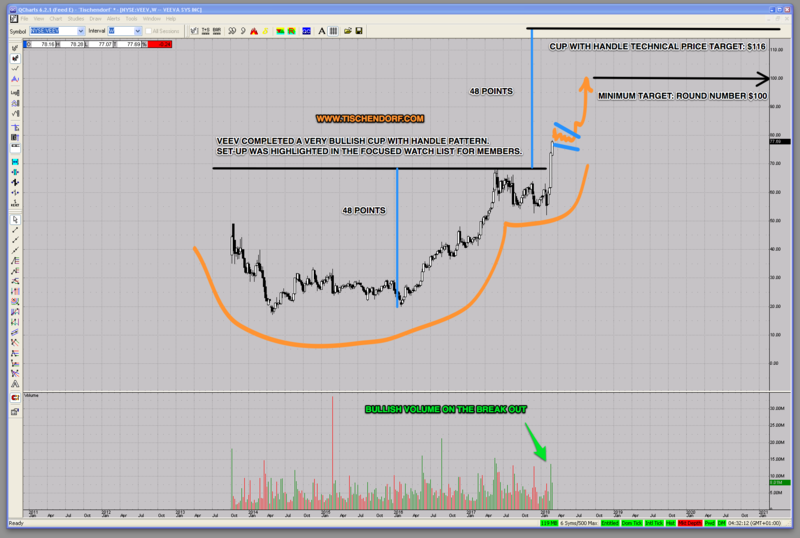 Members knew of this opportunity weeks in advance and the massive story stock potential was outlined way ahead of the stock’s super run. Members were informed in advance and extremely well prepared to take advantage of this super run! The ‘Next Potential Super Stock’ is shaping up!